Stef and I started the day off well by playing at the Cafe during breakfast. The store is open from 7-3 for customers picking up their Christmas dinners, and we love playing music to spread the holiday cheer! Christmas Eve Night is probably my favorite family holiday. I have great memories of my parents, aunts, and uncles laughing and joking while the cousins watched The Santa Clause and played with new toys. Some years it feels more like a reunion. We’ve all seen a lot more of each other this year (Shannon’s wedding, the trip to Greenville), and we just have so much fun together. While the Paul and Eric discussed relativity and light speed and engineer things. We took photos in front of my parents’ fireplace (the usual photo op spot), drank coffee, and ate lots of cookies. 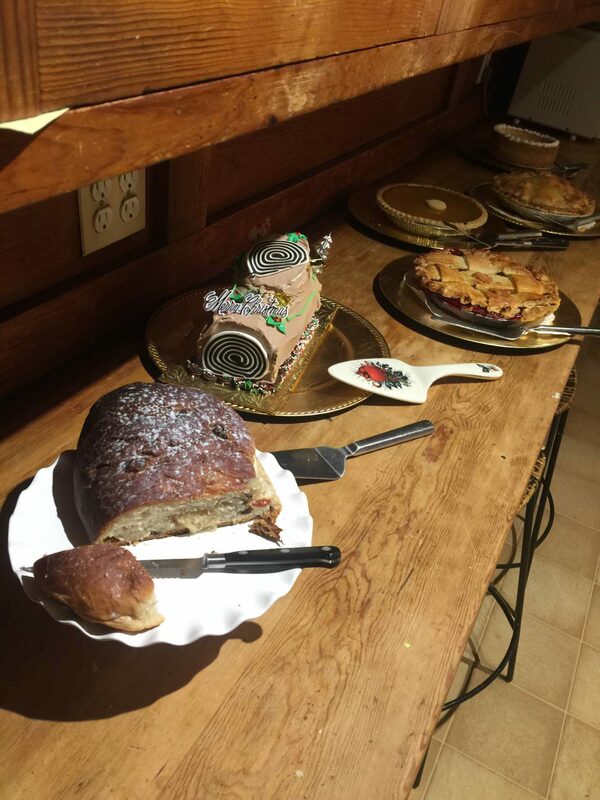 With a bakery in the family, we are never without snacks! My me-made dress was a big hit with the family, and I was finishing it almost as we walked out the door to go to the party. But more on that in another post. 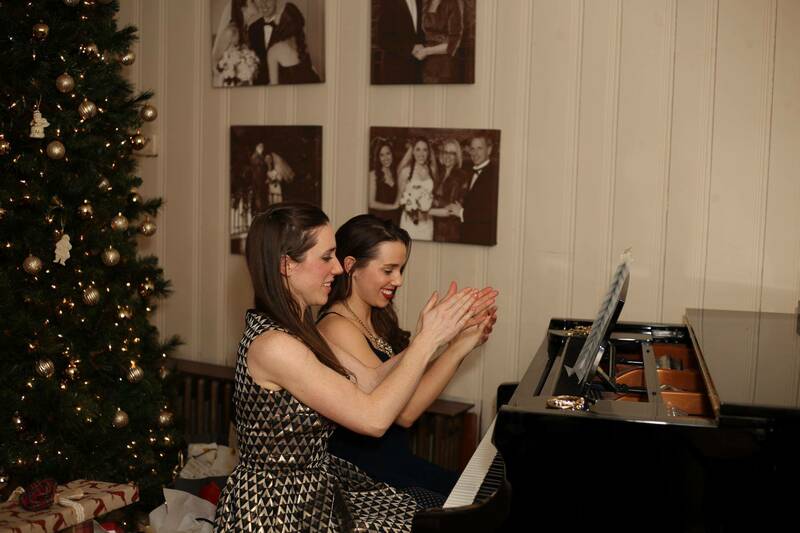 Stef and I played Sleigh Ride for the family according to our tradition. We added clapping to the arrangement the very first time we played it, but it definitely makes the song a little more challenging. ha… another piece we should practice before playing next year. 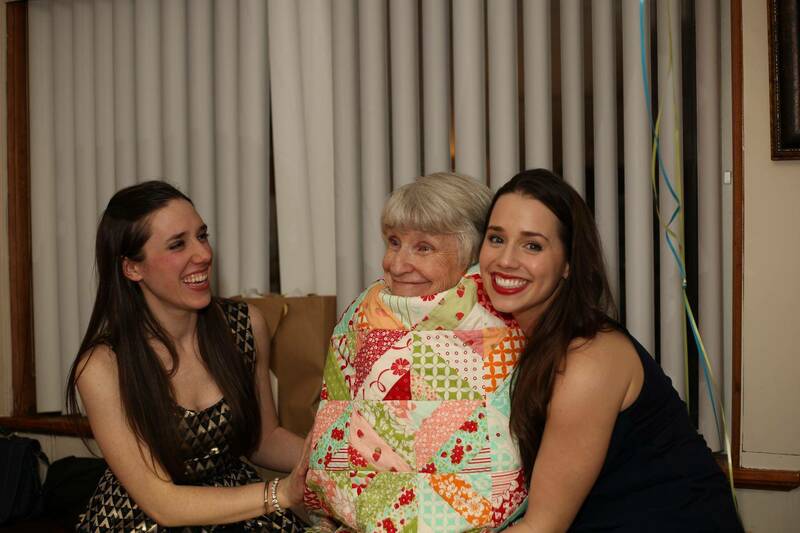 I gave my grandma a quilt for Christmas – I know that’s not how things work in the rest of the world. Usually grandmas are making the quilts. Yes, I’m the old lady in my family. Anyway, grandma loved it! It’s a spring-y quilt, so I’ll post photos of that later in the year. My aunt and cousin gave me beautiful Penguin Classics Versions of Jane Eyre and Wuthering Heights to add to my collection. So I stayed up until 2am on Christmas Eve working on a blouse for Christmas Day… and guess what? No pictures from that day wearing the top. I’ll do a post later on all my sewing related gifts (there were quite a few! ), but I was kind of overwhelmed this year with gifts from my parents and my sister – uggs, a ski helmet, a fun Starbucks cup, a Book of the Month subscription… I’m so blessed! Stef, Eric, and I all went to Calvary Bible Chapel with my parents and played violin/ viola with the children’s orchestra for the service. It’s a small church, but has lots of musicians! Always fun to spend time with them. Later that afternoon, we went to Eric’s parents’ house for Wilsonecker Christmas. 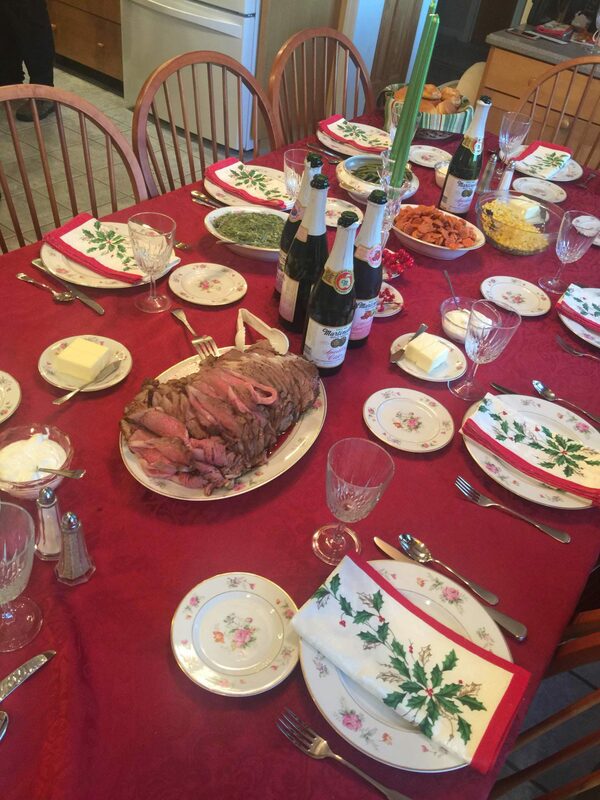 Eric’s family and my family have a joint Christmas dinner. Eric’s mom cooked an amazing meal and some people went shooting in the range on the farm (???). Don’t be fooled by the photos tagged on facebook… I didn’t actually shoot anything. 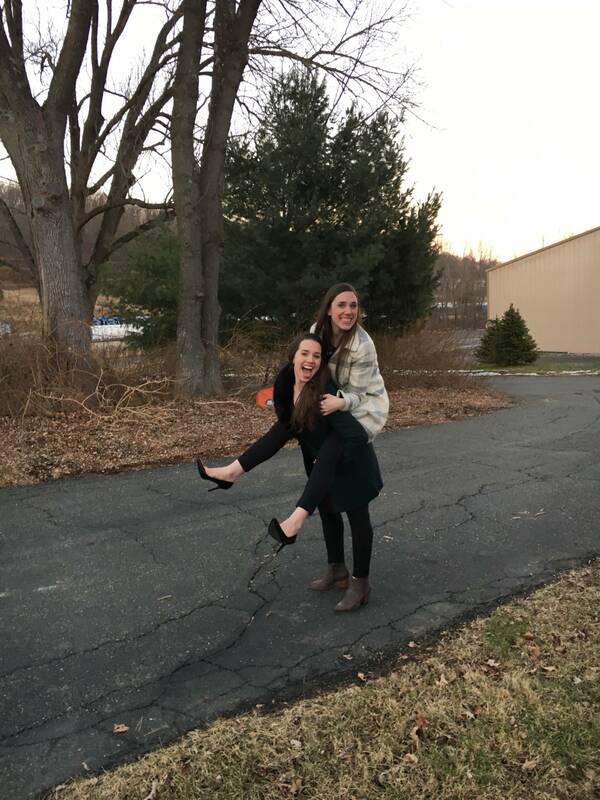 Here’s a fun shot of Stef carrying me to avoid getting mud on my heels. Thanks, Stef! I received more sewing gifts from my MIL!! So those will be mentioned in the next post. Previous Post Another Christmas Quilt!